The Sentinel Domes | Morrison Industrial Equipment Co.
A new dimension in security and safety mirrors. Available in 360°, 180°, or 90°. Made of lightweight, shatter-proof acrylic, this high reflective mirrored surface permits either 360°, 180° or 90° vision. 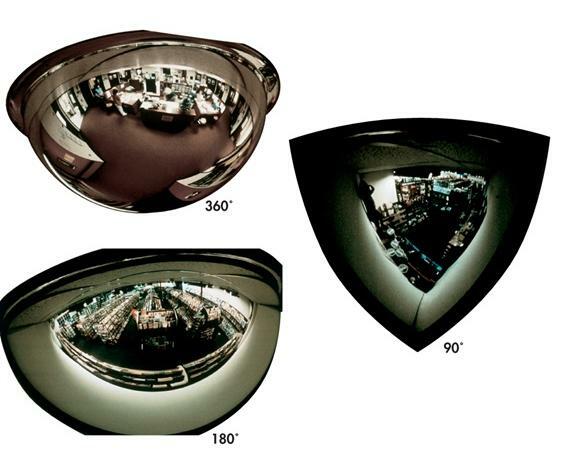 360° dome provides all-around viewing for 4-way intersections. 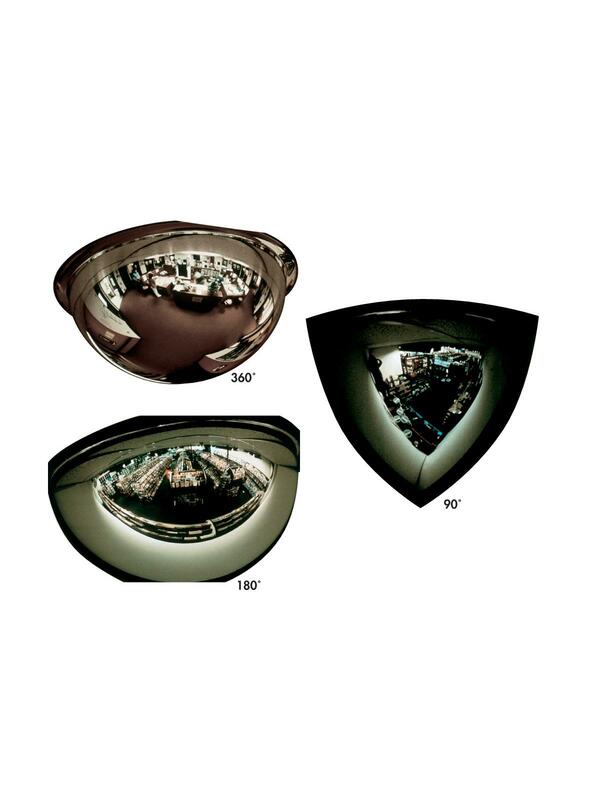 180° provides 3-way vision for "T" intersections, 90° dome provides 2-way vision for "L" intersections. Deters pilferage and requires no maintenance. Decorative domes blend in with any decor. Installs easily. FOB Shipping Point. Actual Size 12" 16" 18" 20" 24" 26" 27" 32" 35" 36" 48"